Let a fairy make your child’s birthday wish come true when you rent a fairy for kids parties from Clowns.com. 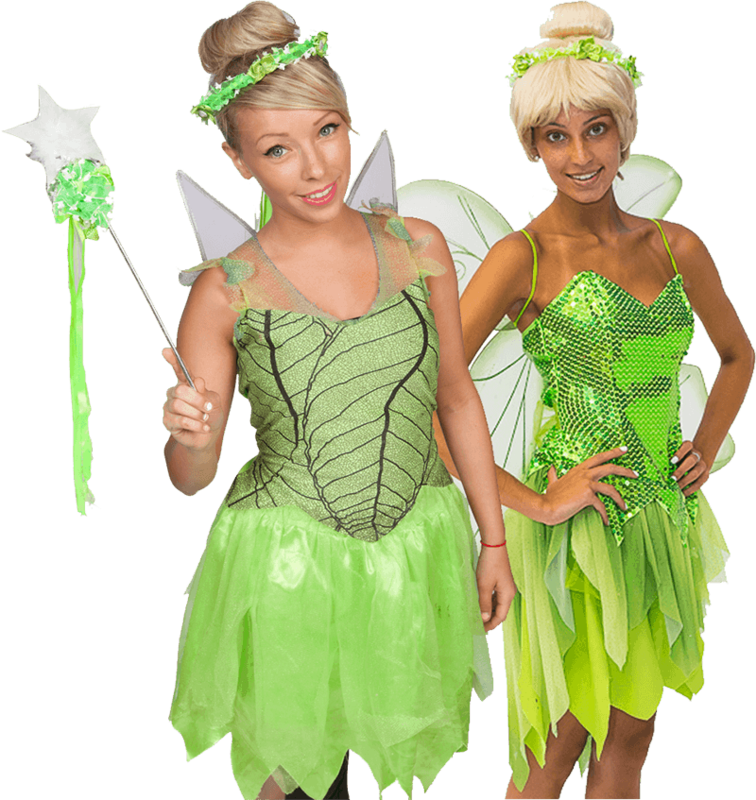 Our fairies will delight any girl or boy and are a unique option for your kids birthday parties. A fairy birthday party from Clowns.com is not unlike our other party packages. Choose from our fairy packages with a magician and enjoy the games, activities, and options to select from. Our fairies for kids birthday parties will arrive and interact with all of your party guests and crown your child as birthday royalty. Watch as your children’s party entertainers twist balloons into swords, hats, and flowers and then sing songs and play the limbo with your guests. The entertainers will skillfully paint your children’s faces, hands or cheeks, and can even transform them into glittery fairies. Gather the children for memorable group pictures with the fairy before they flit away.